Shelves may not be a priority when it comes to decorating your homes and offices but they definitely play a major role in enhancing the beauty of your spaces. A flawlessly chosen wall shelf could be the best part of your home indoor equipments. In fact, they are ideal for utilizing the corners and empty spaces within our homes and offices and displaying our favorite collectibles, decorative, and other items. In this article, we review top 20+ small wall shelves (small shelves for the wall) based on design, aesthetics and useful features. Here, take a look at 20 small yet enticing shelves for the walls of your abodes and offices. Carved from laminate and MDF materials, the Floating U Shelves is simple yet enticing in every sense. The shelves can be easily hung on the walls of your bedroom, guest room, library or even the living room. In fact, you can use the small shelves for the wall to display your favorite photo frames, decorative pieces, clock and other decorative items. The Set of 3 Floating U Shelves is sturdy and available in different color options including Walnut, Beech, Black, Grey, and White. The shelves are ideal for small homes and offices, as they are highly efficient and do not occupy much space. 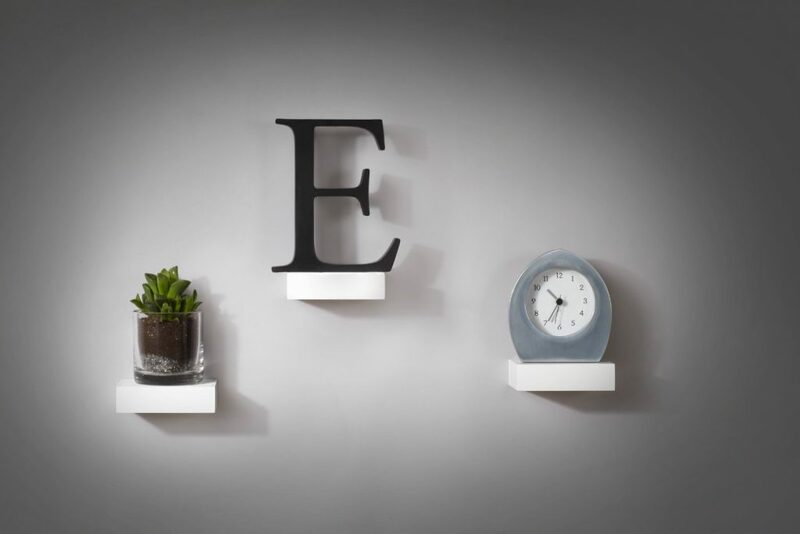 Available in large, medium and small sizes, the Floating U Shelves are unique and ideal for decorating homes and offices. If you don’t like settling for the common stuff, then the Umbra Showcase Display Shelves will definitely appeal to you. These small wall shelves are ideal for displaying your favorite items and collectibles. Made from MDF, painted in white color, the shelves come with a hidden metal bracket that is used for mounting them. Each of the shelves measures around 4.1×3.1×1 inch and offer a highly attractive and versatile finish. The Umbra Shelves are excellent for displaying photo frames and trophies. In fact, the shelves are a perfect combination of style and functionality and tailor-made for people who like modern and unique furniture pieces. Homeowners and offices that are searching for a simple and easy to install shelf can safely invest in the Nexxt Maine Wall Shelf/Floating Ledge. The shelf is elegant and stylish and available in black as well as white color options. Whether you are looking to adorn the living area or even if you want to include decorative items in your bedroom, the Nexxt Wall Shelf simply won’t disappoint you. Available in 12, 16 and 24 inch options, the shelf boasts of contemporary design and modern finish. It comes with hardware that can be conveniently used for hanging and installing the shelf at home or office. Use it to display small plants, frames, candles and other display objects and give your room the look it deserves. Whether you intend to hang them separately or together, the Melannco Shelves are perfect for embellishing your indoor spaces. What makes them truly distinct is their espresso color and smooth finish. In fact, these small wall shelves are ideal for homeowners or office owners who want to beautify their walls and display their favorite decorative items including flowers, pictures, collectibles and more in a simple yet stylish manner. Tired of using the ordinary and inferior quality small wall shelves available in the market? 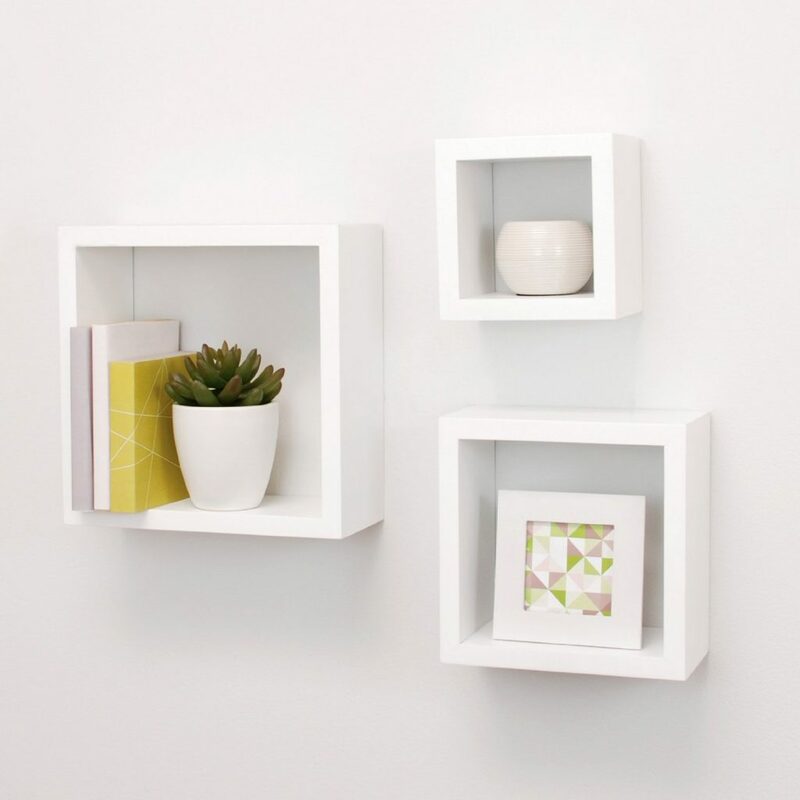 Get the Nexxt Cubbi Contemporary Floating Wall Shelves today! The shelves are everything you ever imagined and much more. They offer rich and versatile wood finish and are modern as well as unique in every sense. Use the shelves to decorate any area of your home and office and display your favorite collectibles or photos to amaze onlookers. Depending upon your preference, you can pick the Nexxt Cubbi shelves in Cairo, White, Java and Black colors. If you need a spacious, innovative and extraordinary shelf then don’t look any further than the Nexxt Cubbi shelves. Note:– Are you interested in White Floating Shelves for homes ? 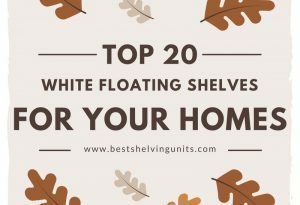 In this article, we have reviewed the best 25+ handpicked white colored floating shelves for home and offices. Want your shelves to take the center stage? The Nexxt Classic Multi Length Shelves is undoubtedly a great choice. Made of the highest quality materials, these shelves are sturdy and long-lasting. They are practical yet appealing and ideal for imparting an elegant and sophisticated look to your indoor spaces. 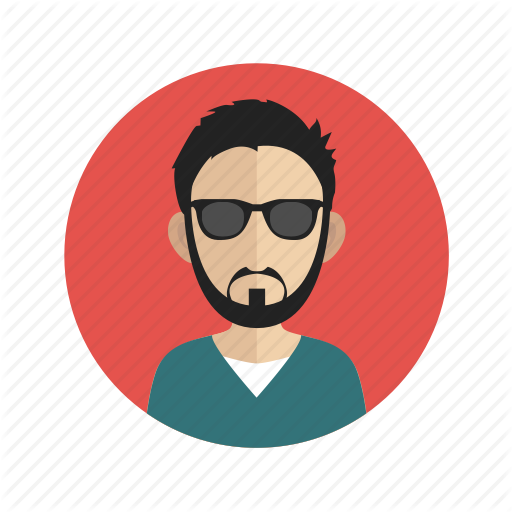 Users can mount them according to their preferences and use it for displaying their CDs, floating candles and other unique collectibles. These ledge styled shelves are excellent for transforming the entire look and appeal of your homes and offices. Mount them on your favorite walls and rooms and fetch complements from one and all. This shelf is chic, modern, stylish and definitely a great addition to your home or office interiors. What sets it apart from the rest of the shelves is that it is made of tempered glass and carries around 17.6 lbs of weight. Based on your requirements, you can either use the shelf for displaying your cable boxes, speakers, DVD players and consoles. It also features a unique cable management system that further aids the users in managing and concealing the cables. If you wish to maximize your space utilization then get the VonHaus Single Shelf right away! The shelf is highly durable and crafted to perfection. Note:- Are you interested in Ladder Style Bookcases and Shelves? 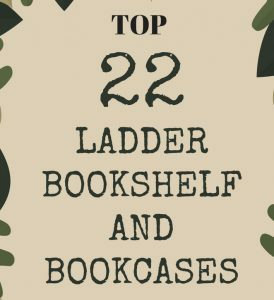 We have a detailed review of Top 20+ Ladder Bookcases – in which we have curated the best ladder style book cases based on design, usefulness, quality and price. Nothing can be more exciting than owning a shelf that features a traditional yet classic design. If you are one of those individuals who believe that small shelves for wall are just as important as any other piece of furniture or object within your homes, then Burnes of Boston Walnut Level Line Ledge set is definitely the right choice for you. It boasts of excellent wood style finish and comes with an innovative bracket for mounting purpose. If you haven’t purchased a brilliant piece of furniture for your home or office in a long time then get the Nexxt Maine Wall Shelf right now! Available in white and black color options, the shelf will add the much needed versatility and elegance to your rooms, living area and office space. You can either use them to display candles or for displaying your favorite memories in the form of pictures and photo frames. The shelf is very strong and made of premium quality materials. These shelves are ideal for utilizing the corner spaces within your homes and offices. Carved out of laminate MDF, the Danya B Walnut Laminate Corner Radial Shelves are a perfect combination of artistic yet modern style shelf. These small wall shelves are aesthetically beautiful and ideal for enhancing the overall appearance of your indoor spaces. Their exquisite walnut finish and unique shape will appeal to you at the very first glance. Bring home these shelves if you want something truly distinct and remarkable. This shelf is excellent for decorating the corner areas of your house. Made of tempered glass, it is extremely safe and durable. It comes with small sized brackets that impart the shelf a stylish and sleek look. It can withstand 25 lbs of weight and is simple to install. It measures 12×12 inch and makes excellent use of space. Whether you wish to display decorative items or even if you simply want to showcase your favorite pictures, the shelf is designed to complement your home and office interiors. Get this shelf, if you are planning to adorn your indoor areas including bedroom, living rooms and office interiors. Note:- We have reviewed a collection of floating shelves for bathroom. Read the review, if you are looking for bathroom shelves. Planning to impart your homes and offices with modern and sophisticated look? Nexxt Maine Wall Shelf is everything you’ll need. The shelf is highly affordable and sturdy and exquisite in every sense. Place your favorite small plants on this shelf and put them in your bedrooms, balconies or bathroom area and you are good to go. Available in three different sizes including 12, 16 and 24 inch and two brilliant color options including black and white, the shelf is versatile and ideal for contemporary homes. These small wall shelves intersect beautifully and give your indoor and office spaces, the much enticing appearance that it deserves. What you’ll truly appreciate about these shelves is that they boast of espresso look and finish and is extremely easy to install. Once you hang them on the wall, the connectors or hardware used for hanging them won’t be visible, which means your walls won’t appear shabby at all. It provides you with ample space to display some of your favorite collectibles and decor items. The EWEI’s HomeWares Shelves are perfect for your office, dorm and home. Carved out of durable and premium quality MDF as well as laminate, they can be easily hanged on the walls of your homes and offices. It is extremely functional, easy to install and comes with hanging hardware. The walnut finish is simply mesmerizing and will easily complement your interiors. Use these small shelves for wall for creating a mini library or for showcasing your favorite decorative pieces and collectibles. The shelves measure around 3.5 pound and are truly elegant as well as stylish. If you are searching for different yet stylish shelves then the Reversed Criss Cross Shelves in white color are all you need to beautify your offices and homes. They are seventeen inches high and wide and 5 inches deep, which makes them apt for homes and offices with limited spaces. The Criss-Cross shelves are made up of MDF and can be easily assembled. Homeowners can easily use the shelves for displaying your photo frames, collectibles, and other decorative items. Grab these shelves if you are bored of the low-quality shelves you’ve been using all this while. Note:- If you are interested in White Colored Bookshelves, we have a great review of top 20+ white book cases. This shelf is contemporary and minimalistic in design.It’s espresso look and finish will add elegant and distinguished look to your rooms. Place them on the walls of your room or hang them in your living space and watch as guests and onlookers praise and complement you for your interior designing sense and capabilities. Additionally, this shelf is easy to assemble and install. It’s unique ‘H’ shape makes it appear all the more stylish, modern and elegant. With its connectors almost invisible, the shelf is perfect for showcasing your decor items and collectibles. The Grrenco Floating U Shelves is perfect for your kids’ rooms or for your own bedroom. Right from displaying their favorite soft toys to their picture frames and clocks, these shelves are ideal for storing your favorite stuff. Its brilliant and captivating espresso finish will excite you at the first glance. The shelves are very functional and tailor-made for office, home and dorm spaces. Made up of high-quality and long-lasting MDF laminate, the shelves are available in large, medium and small sizes. The Halter Wall Shelves are perfect for your living area. You can use it for storing exquisite decorative pieces, pots and small plants. They can be used for displaying, decorating, hanging or even trophy and ledge shelves. It enhances the personality and overall appearance of your home and office. Available in three different sizes including 15, 13 and 9 inches, these shelves are made up of laminate and MDF. Whether you are looking to save space or even if you are planning to display your collectibles, books, photos and awards, the Halter Wall Shelves are definitely a great investment. In case you want affordable yet superior quality shelves then the John Sterling 4 piece decorative ledge set is worth your money. You can also use these small shelves for wall to display your favorite collection, decor items, and pictures. They enhance the appearance of your walls and are very easy to assemble and hang. Hang them on the walls of your abodes and offices and provide them with the exciting look that they deserve. Note:- We have created an Infographics on the best floating wall shelves for home and office interiors. Take a look to know more. These shelves are exclusive, modern and sleek, which implies you can easily use them in your living space or offices. Made up of wood, these shelves can easily bear 5lbs of weight. Grab these shelves if you are genuinely interested in adding style and sophistication to your interiors. Buying a wall shelf can be a great deal if you’ve got no idea about it. Most of all, go for a product that suits well with your home’s indoor. A matching wall shelf for your indoors can be the best addition you could have. Keep in mind quality as an important constraint if you are about to go for cheaper products available in the market. A poor quality wall shelf can also ruin your home indoors. The products reviewed by us above are only chosen after completing certain quality checks.